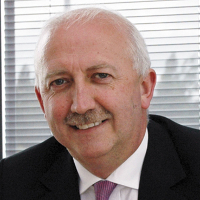 James Kelly, Chief Executive of the British Security Industry Association and Chairman of the Security Regulation Alliance, has championed the views of the private security industry against a continued backdrop of uncertainty relating to the transition to a new regulatory regime. In a forthright letter to the Parliamentary Under Secretary of State for Criminal Information, Lord Taylor, James called for clarity from the Government on a range of issues relating to regulatory change, following an announcement by the Security Industry Authority (SIA) that the timings of business licencing introduction were to be changed. It was announced that the necessary arrangements to allow the SIA to start accepting business licence applications – originally planned for April 2014 – were not yet in place, and therefore, the ‘open for business’ date had been postponed. Despite this, an ‘enforcement’ date of April 2015 – at which point business licensing becomes a legal requirement – currently remains unchanged, giving businesses a smaller window in which to prepare for the new regime’s introduction. Over the last couple of years, BSIA members have broadly been supportive of the proposed new two-tier regime but there has been increasing concern among key industry players about several elements of the proposalsmost notably around costs, sanctions and scope. Costs in particular need more analysis and the SIA has agreed to evaluate some of the perceived cost increases, suggesting that certain accounting treatments and practices are the likely main cause. After that, it may be appropriate to seek an updated mandate from members for continued support of the NRR, given the evolving parameters of the proposed regime. In his letter to the Minister, James wrote: “Whilst businesses have been made aware of ‘likely’ costs and sanctions, they require specificity in order to accurately and confidently price contracts to clients well in advance.” The inability of the SIA to confirm the precise ‘per head’ cost of licensing until licensed businesses have indicated the number of security officers deployed , has only added to the uncertainty and disenchantment amongst security providers. This latest defence of the industry follows just over three years of lobbying on the part of the BSIA and the Security Regulation Alliance, a single-issue body formed to provide key security industry bodies with a forum where all members could debate and formulate a unified response to the challenges of future regulation. In 2010, James was instrumental in softening Government plans for the total abolition of the SIA to those of a phased transition to a new regime, and has remained a key player in representing industry’s views ever since, being one of only two industry representatives to sit on the Home Office’sTransition Steering Group. Speaking about the transition, James says: “Following our successful direct approach to the Home Secretary in 2010, the BSIA – as part of the Security Regulation Alliance – has worked with the Home Office and the SIA to develop a blueprint for a new regulatory regime, to which our members signed up wholeheartedly.